Learn about the variety of beef steaks and how to cook them, from sirloin to hanger steak. Hanger steak is cut from a hanging muscle that supports the diaphragm of the beef cow and is not connected to any bone (hence its nickname “hanging tender”). Similar in appearance and texture to flank steak, the hanger steak also needs to be marinated, then quickly cooked, most often on a grill or barbecue, and thinly sliced against the grain. Hanger steak is very flavorful, and recently prized by restaurants, which makes it almost impossible to find at a supermarket. 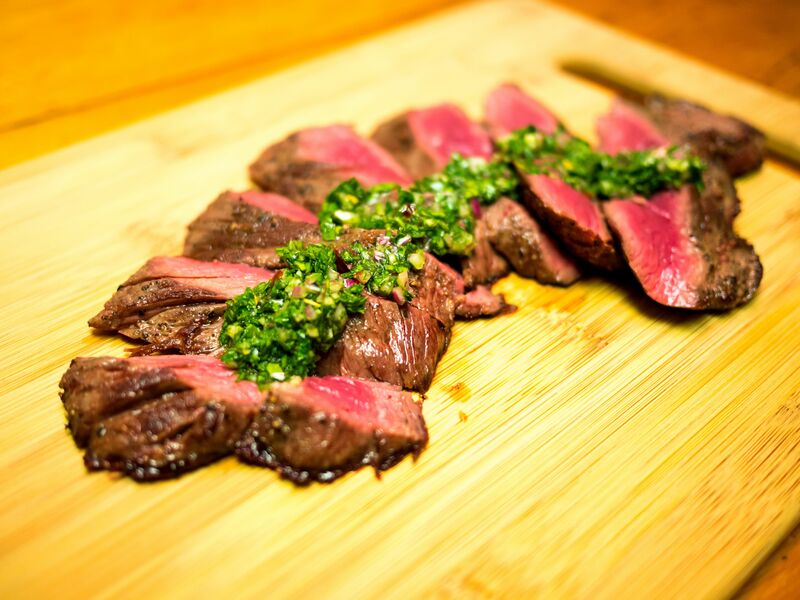 Once known as the “butcher’s choice,” because butchers kept it for themselves, hanger steak can be requested at most butchers. The minute steak (also called cube steak) is a thin cut from the round or the sirloin that has been tenderized by pounding or scoring. Minute steak is usually pan-seared very quickly and is often used for ​chicken-fried steak and Swiss steak. The porterhouse is a bone-in steak cut from the rear of the short loin of the beef cow. The T-shaped-bone cut from the spine bisects portions of both the top loin (strip steak) and tenderloin (filet mignon). The Porterhouse has a larger portion of tenderloin — at least 1 1/4 inches thick as defined by the USDA — than the similarly cut T-bone steak and can weigh between 2 and 2 1/2 pounds. The origins of its name and cut are particularly contentious; however, the Oxford English Dictionary supports the argument that it was first served by the proprietor of a 19th-century Manhattan porter (ale) house. The porterhouse needs little seasoning and is best enjoyed grilled, broiled, or pan-seared. 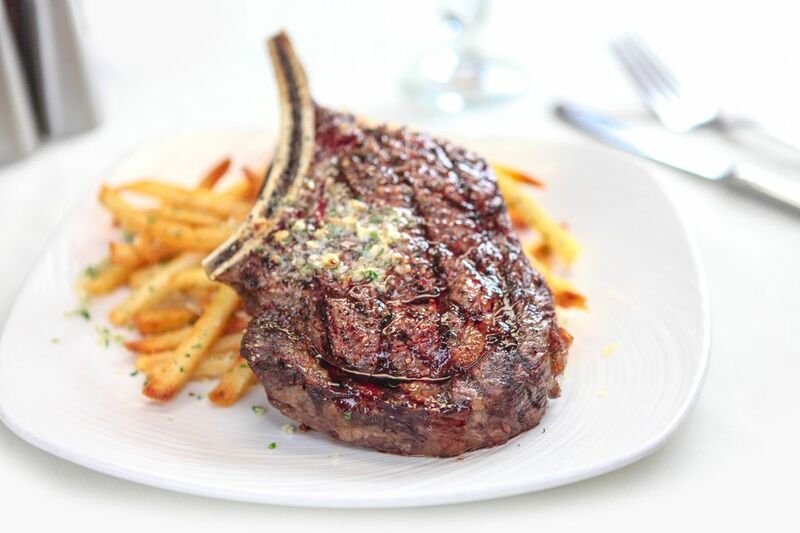 The rib steak is a bone-in cut from the rib roast. The rib steak is known in France as entrecote (translates to “between the ribs”) and is a staple of bistro-style fare. Grilling and pan-searing are the most common methods of cooking rib steak or entrecote. The sirloin is located between the short loin and the round (rear) of the beef steer or heifer and is cut into a variety of steaks. The bottom sirloin is located just above the rear flank and shank and is a less desirable cut. The bottom sirloin has good flavor, but it is far less tender than the top sirloin just above it. Generally, the steaks labeled and sold as “sirloin” in supermarkets are bottom sirloin.